I participated in an Influencer Activation on behalf of Influence Central for BAND-AID® Brand. I received product samples to facilitate my review as well as a promotional item to thank me for my participation. I am proud to come from a family full of heroes. See that picture there? That’s my grandfather back at the end of WWII. He was a Sailor on a Minesweeper. Decades later, my aunt married a sailor. My uncle David also served for 20 years in the Navy. 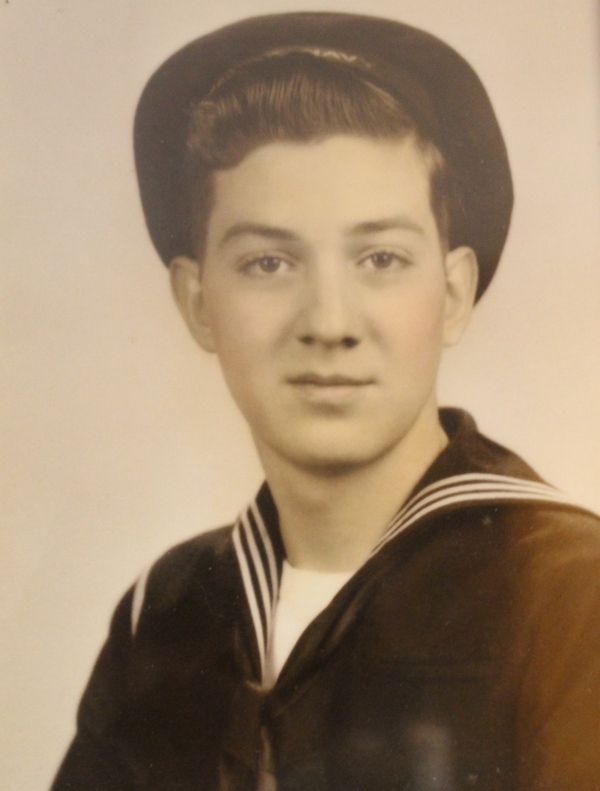 Two of his sons served in the Navy. One is currently serving in the Marines. My son’s father was a Sailor, so I was a Navy Wife. Yes, that totally deserves capital letters, as any Navy Wife will tell you! Being part of a military family definitely has its stressful moments. When my ex was in the Navy, we were stationed in Misawa, Japan. While I absolutely loved it over there, being on the complete opposite side of the earth from my family was difficult. The holidays were the hardest. We have a lot of Christmas traditions and it was difficult not to celebrate them with my own family. Then I realized that I did have a family, just a different kind. In the military, friends become your family very fast. You spend birthdays, anniversaries, weekends and typhoon watch parties together. They make you check them for ticks after a hiking trip (don’t ask). They sleep on your couch after hernia surgery and act like you’re their mother. You bake horribly lopsided cakes for their birthdays, and they appreciate it because they didn’t expect a cake. There’s nothing quite like a military family. My cousin is overseas in Japan right now. He’s been away from my aunt and uncle for the last couple of year almost non-stop. He’s discovered his own military family. I can’t tell you how proud I was when I saw a picture of him on Facebook helping Japanese kindergartners get ready for Halloween. He has such a big heart. I know my grandfather would be so very proud of him. BAND-AID® Brand, a staple in American households and the military since my grandfather was a Sailor, has teamed up with Team Red, White & Blue to help connect veterans to their communities through physical and social activities. Right now, as I type this, runners are carrying an American flag 3,800 miles across the country to raise awareness and funds for veterans. They’ll finish their journey on November 9th. 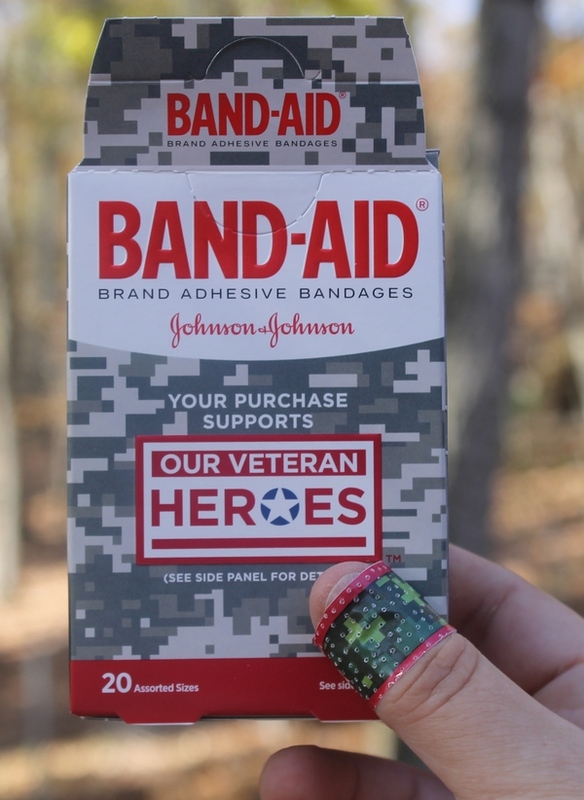 As part of this partnership, they’ve launched OUR VETERAN HEROES™ BAND-AID® Brand Adhesive Bandages, featuring cool patriotic and military designs. For every box sold, BAND-AID® Brand will donate 5% of the sale price to Team Red, White & Blue. Want to help raise even more funds? Show your support for Team Red, White & Blue during their Relay by sharing a photo or message on Facebook, Twitter or Instagram using the hashtag #RunWithGlory. You can also visit bandaid.com/heroes and share the messages on the site. BAND-AID® Brand will donate $1 for each message shared. Honoring our veterans should be an everyday thing, not just a November 11th thing. I urge you to share your positive message with the #RunWithGlory hashtag. It just takes a moment, yet helps raise awareness and much-needed funds. Our veterans deserve our respect and gratitude. They sacrificed so much so that we wouldn’t have to. If you are a veteran, thank you. From the bottom of my heart, thank you. Have you thanked a veteran today? 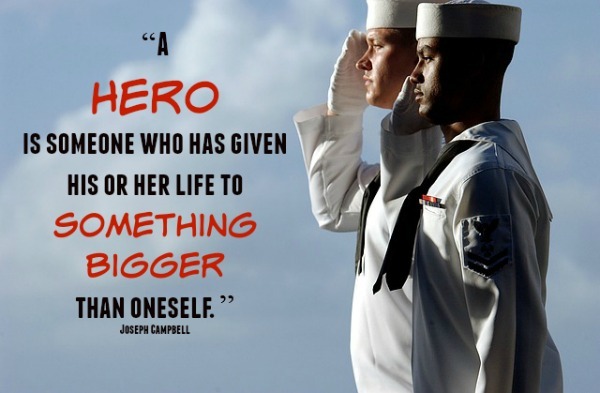 How do you show your gratitude on Veteran’s Day? I always like when they have the veterans stand up at baseball games or other events for everyone to recognize. They even do it at the Shamu show at Sea World in San Diego!